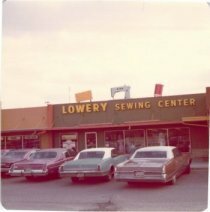 Independently owned and operated since 1948, Lowery Sewing and Vacuum Center is proud to be in its a 4th generation of family ownership. Current owner, Adam Harman, continues the company's longstanding tradition of providing the Warsaw, IN, community with exceptional customer service and top-of-the-line products. To ensure quality and value for our customers, we only sell industry-leading brands such as Janome, Elna, Simplicity, and Miele. Additionally, we carry a wide assortment of parts, accessories, fabrics, notions, and other sewing and vacuum supplies for a convenient, one-stop shopping experience. Our friendly, knowledgeable staff members are experts at what they do and are dedicated to helping customers select the products that will meet their individual lifestyle and budget needs. 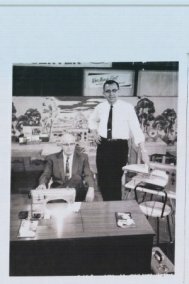 Because we know buying a sewing machine or vacuum is a large investment, we provide extensive product education and training so our customers will get the most use and enjoyment from their purchases.